A gate valve, also known as a sluice valve, is a valve that opens by lifting a round or rectangular gate/wedge out of the path of the fluid. 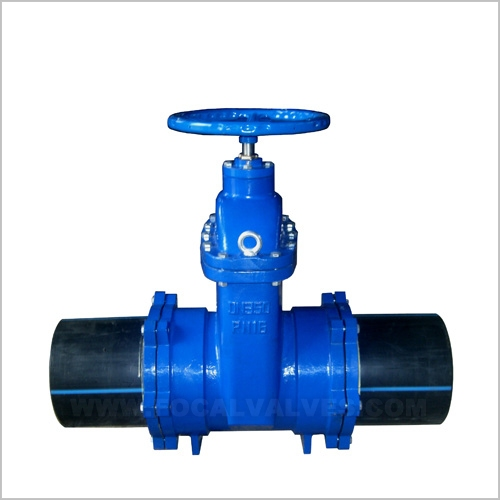 The distinct feature of a gate valve is the sealing surfaces between the gate and seats are planar, so gate valves are often used when a straight-line flow of fluid and minimum restriction is desired. The gate faces can form a wedge shape or they can be parallel. Gate valves are primarily used to permit or prevent the flow of liquids, but typical gate valves shouldn't be used for regulating flow, unless they are specifically designed for that purpose. Because of their ability to cut through liquids, gate valves are often used in the petroleum industry. For extremely thick fluids, a specialty valve often known as a knife valve is used to cut through the liquid. On opening the gate valve, the flow path is enlarged in a highly nonlinear manner with respect to percent of opening. This means that flow rate does not change evenly with stem travel. Also, a partially open gate disk tends to vibrate from the fluid flow. Most of the flow change occurs near shutoff with a relatively high fluid velocity causing disk and seat wear and eventual leakage if used to regulate flow. 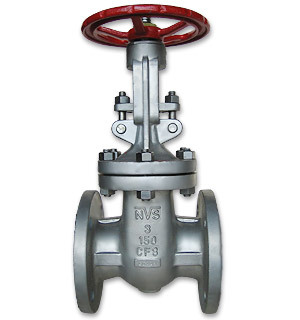 Typical gate valves are designed to be fully opened or closed. When fully open, the typical gate valve has no obstruction in the flow path, resulting in very low friction loss. Another type of bonnet construction in a gate valve is pressure seal bonnet. 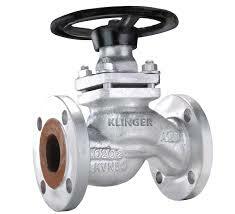 This construction is adopted for valves for high pressure service, typically in excess of 2250 psi (15 MPa). The unique feature about the pressure seal bonnet is that the body - bonnet joints seals improves as the internal pressure in the valve increases, compared to other constructions where the increase in internal pressure tends to create leaks in the body-bonnet joint.